The total number of households belonging to Below Poverty Line (BPL), an economic benchmark in India stands at about 276 million (27.6 Crore) in 2012 as per the official data. These BPL households need government assistance to make their living and receive the basic lifestyle facilities such as healthcare, education & more. The central and state governments provides these benefits through various social welfare schemes especially designed for the BPL families. At present, the selection of beneficiaries under many central government schemes launched by Narendra Modi Government in 2018 and earlier is being done from the list of BPL households in SECC-2011 data. Some of these flagship schemes only meant for the BPL families includes Pradhan Mantri Awas Yojana (Gramin), Pradhan Mantri Ujjwala Yojana and Sahaj Bijli Har Ghar Yojana. People belonging to BPL households are concerned about their inclusion as beneficiary under these schemes. However, this can be verified by checking their name in the BPL list from SECC-2011 data. The complete state wise list of BPL families can be viewed on the official websites of state government departments or in SECC-2011 data available on a website developed by NIC (National Informatics Center). However, there might be some other parameters basis which a BPL household / individual will be excluded or included as a beneficiary of a central or state government’s scheme. There is no such thing BPL List 2018, the list is a part of Socio-Economic Cast Census Data – 2011. There are a 2 methods one can check their name in the BPL list as mentioned below. Only BPL households are included in this scheme, hence the BPL list can be checked by looking at the list of NAREGA beneficiaries at its official website, below is the complete procedure. To download the BPL List from SECC 2011 Data, candidates can click the link – http://mnregaweb2.nic.in/netnrega/dynamic_account_details_ippe.aspx. Here candidates can select the “State”, “District”, “Tehsil / Taluk” and “Gram Panchayat”. Next list type is to be selected either it is Auto Inclusion / Deprivation or Auto Exclusion or others along with the number of rows to get displayed and then click the “Submit” button. Finally, candidates can manually search their name in the Gram Panchayat BPL List. Furthermore, all the candidates can download this BPL list file in MS Excel through “Download in Excel” link and can print it also using “Print” link present at the bottom. In case any person belonging to BPL category and is able to locate his name in the downloaded in the SECC 2011 data list, then person is eligible to avail benefits of various govt. schemes. People can simply extract the downloaded .zip files and then open the .xslx format (Microsoft Excel) file. Afterwards, any person can press ctrl+F to open the find dialog and search their name in the list. In case any person finds multiple entries having same name, match it with the address, name of parents and other details. This convergent planning list is prepared by the central govt. after inclusion of National Rural livelihood Mission (NRLM), Indira Awas Yojana (IAY), Deen Dayal Upadhyaya Grameen Kaushalya Yojana (DDU-GKY) and National Social Assistance Programme (NSAP) beneficiaries. As Telangana got separated from Andhra Pradesh after 2011, so BPL List of Telangana People is not present separately. All the people of Telangana state can check their name by selecting their district in the Andhra Pradesh BPL List. An option of “Save Report” is also available to save the entire SECC-2011 data report in ‘Microsoft Office Excel Worksheet’ file. 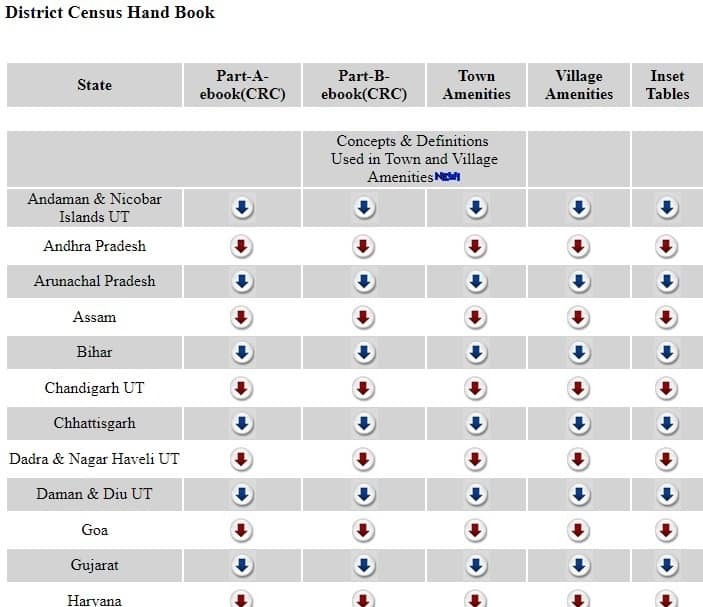 All the candidates can also see the zone-wise list which includes type of households, gender, disability, education, caste, income and employment profile along with assets and land ownership. Moreover, the category-wise list is also available for SC / ST / Female / Disabled and other category people. This list will display the data on the basis of income slab, income source, salaried job, house type, exclusion, inclusion and deprivation. Candidates can also check the Socio Economic Caste Census (SECC) Family Member Details through the link – SECC Family Member Details. Vileg kharhtta,post o bodhatra khurd, t.pandriya,kabirdham CG.